This is the thread to post your comments regarding the other entries, I have split these into 2 groups as there are 19 entries. If you are feeling brave then feel free to comment on them all. i can't believe i have to listen to this damn song at least another 19 times! what was i thinking? on the other hand, it's quite a privilege to have one's song attended to by 19 ME's, and i can't wait to hear what everyone did. gonna try and listen tonight, but i have a last minute rush job to do first. (client: "we HAVE to get it to discmakers by 7:00!!! !....oh, and yeah, we'll get you those last two mixes within an hour....") sounds familiar right? kayo - i get this flipped-polarity feeling here, it just doesn't sound right at all. gertvanhof - this is really good stuff. i can hear you tried to fix the "resonant mids", still not sure if it was worth the attempt (spin-off: more edge). ggidluck - something's happening at 2:40 with the stereo, can't eactly say what. the eq work is ok, but while taking care of the somewhat cloudy mids you might have lost some meat. overall i think you did something better to the track. sounds weak though. gregjannman - i think the hunt for better clarity has resulted in papery/poke-y qualities that makes things a bit harsh/sizzly. ludwigM - this is the kind of sound which makes me stop listen after 40 seconds. everything is everywhere all the time. nervous. ed littman - very good stuff. no obvious defects. easy to the ear but maybe a bit too controlled (if you get my drift). aivoryuk - good balance and tone, maybe lacks just a little body. fuse - nice and open and soft. but slightly sizzly and I miss a little something in the lower mids. pmx - a little too boxy for me. adam gonsa - 2:22 and 2:24 something sounds strange and it draws my attention to the dynamics. i think things are too controlled. andreas n - good and easy on the ear. fluffy like clouds in the sky. i miss a little "cling-klang" and "schmack" though. biigniick - very good. this has got exactly what i was missing above. a better push. chris domerus - it sounds small and boxy. MC - something is just wrong here. sounds like a speaker emulation. philip - good and easy on the ear. similar to andreas n's entry but more lightweight. the message comes through with no disturbances. specialized - i find this too harsh. I hesitated for a very long time before deciding on making the master as bright as I did. (And on a quick listen I seem to have delivered one of the brightest masters). In a real-world (read commercial) situation I would be checking with the client to see if that distorted guitar could be adjusted a touch to tame some of the fizzle and sizzle which I think is biggest issue in this master. If that wasn't possible, I would most probably make the master less bright. And yes I like analytical. Hi-Fi baby. My ears are a bit tired for a listening session now. Hopefully I will get a chance to listen and review the other entries before the week-end. haha! which one??? there's only about 80 in there. here are the comments i've thought of while listening to the mixes that were available on the server when i downloaded them. if i've missed you, i'll try to find time to check the ftp again and listen to the others also. here is my list in a quasi-preferential order. . .
patrik a little dark. i could use some more definition in the lows and low-mids. sounds a little mushy. fuse overall good, but you didn't address the fadeout at the end. did you add reverb? gertvanhoof overall good. i feel im missing a little on the snare reverb trail compared to some others. phillip overall very good. fadeout at the end might be a little abrupt, though. no dithering? Ed_Littman_Mastering feels a little loose on the low and low-mids. is that analog tape? ChrisDoremus overall ok. not my favorite; not sure why. UnderTow a little bright (8k - 16k). it sounds good on some parts of the song, but at the guitar part at the end seems very brittle. also, your fadeout is very abrupt. DOMC a little dark. i feel i'm missing something on the ultra low end and have too much low end in general. maybe just a little muddy sounding in the 100-200 range. also, you didn't address the fadeout at the end and have 5 sec of digital black tacked on the end. KAyo wider stereo image. . . lots of MS stuff going on. there are a lot of changes from the mix, guitars are way louder, snare has changed and the vocal placement is different. also, you didn't address the fadeout at the end . overall, i think, a little heavy handed. Ed Littman - nice big wide bottom end - very snappy snare sound. good level and nice over all tone - love the top end. Kayo - felt a bit too wide and too much top end for my liking I lost the air and feel of the original track and the vocals almost got lost by the spread guitars. Adam Gonsa - nice overall, plosives in a capella intro taken care of, maybe some lack of definition towards the end of the track. AivoryUK - good balance, snare just a tad (too?) dark to my tastes. AndreasN - nice impact on the snare, yet lively, open and transparent. I like this one. BiigNiick - I particularly like the way you handled the track's dynamics, nicely moving from section to section. Rich, yet controlled soundfield. Well done! ChrisDoremus - brightness helps to bring out the vocals, but adds grit to the guitars in the loud sections. On the subject of loudness, this version could have been 2dB louder overall without any adverse effects on the sound quality. DOMC - some excessive resonance in the midrange. Nice dynamic structure. The stereo image sounds processed somehow. Ed Littman Mastering - perhaps the most "professional-sounding" (for lack of a better description) of the lot. Attention to detail, loud enough, full-blooded without being overstated. Did I mention I like this one a lot? Fuse - natural dynamic progress. A little too bright overall, as far as I'm concerned. Did you add subharmonics to the low end? Gertvanhoof - not really convinced at all about my own entry here. I mastered this track at the end of a long day. On second thought and in the context of the other entries, the result strikes me as an obvious compromise in dynamics processing (too loud overall). The grit in the midrange and the plosives in the a capella intro would easily justify a closer look as well. Ggidluck - fulfills the brief nicely in terms of overall sound and dynamic range. Open yet authoritative snare sound. The upper midrange nudges to the eerie side from time to time. GreggJanman - improves drastically on vocal clarity and intelligibility, albeit at the expense of overall weight and impact. KAyo - all too enthousiastic use of mid/side-processing, resulting in shifting internal balances and a general loss of impact. LudwigM - I think you've pushed this one a little too far in the dynamics department. The result sounds "loud without a cause". On a sidenote, I've found this track quite hard to position on the loudness scale and I'm not too sure at all about my own take on the matter. Maybe the context of an album would have provided some pointers here. MC - in the usual tradeoff between raw impact and texture/definition, I think there's literally too much weight on the impact side here. As the brief pointed out, this track could do with a little more life. Patrik - nice approach, maybe a little too busy and closed-in (to my tastes, that is) in the loudest sections. Philip - just (even maybe) a hint of cloudiness in the midrange, but nothing really to complain about. Natural dynamics, balanced and inviting sound. What's not to like? PMX - I like your attention to detail, shame about the fade-out. Maybe the lower midrange is somewhat overrepresented. Specialized01 - this one's bright on the edge of phasey, probably due to the all too obvious application of dynamics processing. Undertow - another case of the vocals-vs.-guitars-dilemma. Clarity becomes harshness in the loud sections, exposing what I consider to be the main challenge in this WUMP edition. Well, at least we seem to agree on most of the terms, don't we? it's really interesting reading the replies so far. most of them seem very much in line with mine, which is cool. i'm midway through a second listen, will report back in a bit. Ok, first of all thanks to everyone who participated, I felt honored (and a little intimidated) imagining all of you guys attending to my little song. It was great hearing all the different approaches to the mix, and I thought a lot of the entries were really good. While I have some issue with all of them, most would be an easy revision and we'd be in business. Since I'm playing the role of Thee Artiste here, I get to be blunt and cranky. Please don't take offense, it's all in good fun. Specialized Nice softening of the plosives in the beginning. I can hear the compression starting about 20 sec in. It sounds ok for about the first minute. After that it sounds like an electric razor in a frying pan. It's just too hot and the high end is awfully harsh, especially in the guitar solo. Cymbal crashes are painful. Kayo Good god man what have you done to my mix? The L/R channels are reversed for starters. The eq is way too boom and sizzle. It's a bit crackly in places. But all that is immaterial compared to whatever phase/stereo image business you're doing. The mix sounds like it's turning inside out on itself. Seriously eye-crossing crazy. It's really doing my head in! Phew, we are off to a rough start! Switching between Kayo's master and the original mix made me lose my mind completely, so at this point I ran screaming out of the studio and spent 10 minutes in the living room quietly strumming D and G chords on my telecaster and staring at the ceiling. Adam Gonza The fade up at the beginning is weird. There's a glitch on the right side at approx 2:16. Something crazy is going on with the kick drum at around 2:25, 2:27, 2:39 and 3:30. It sounds like bad edits or a buffer underrun or something. 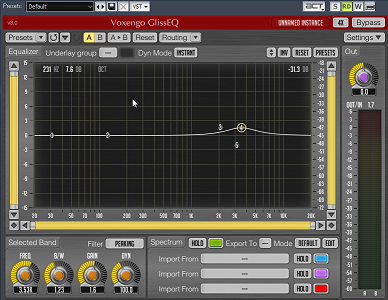 The eq is kinda low midrangey, it lacks clarity and sounds muffled. The compression is cool but it's too much. andreasN Good. Best so far. By far. Eq is maybe a little low middy? It feels a little bit soft and sluggish. Like the compressor release is a bit too slow maybe? I think with a couple minor tweaks and a bit less level this would be great. Biig Niick The vocals sound good at the beginning. Eq is a bit sub heavy, makes the kick too prominent, other than that it's good. I'm missing the snare attack a bit, not a big deal though, the snare in general sounds nice. The level's a tiny bit hot, it sounds good but like it's just on the edge of starting to come apart, I'd be into a little more headroom. Otherwise it's cool. Chris Doremus Why's it peaking at -2.1??? Did you turn up the sides? Seems like it. I don't mind it but it's a bit much. Eq seems cool. DOMC The low boost is kinda crazy, it makes the synth bass drone too pronounced. It seems like the q is really tight? The snare's too smushed, and there's some weird ducking on the heavy guitar part at the end. The guitar on the right. Sounds like a bad crosssfade maybe? Ed Littman Very nice. The vocals at the start sound great (well, as great as these vocals are going to). I heard a lot of small artifacts on other people's masters that I don't hear on yours, so either they were in the original mix and you skillfully got rid of them, or they're the result of peoples chains distorting. Either way this sounds good! I'd be into a bit less of the low end boost, it makes it all feel just a little too ponderous. Maybe a tiny bit more of a high mid push as well. Otherwise it's great. Gertvanhoof The vocals at the beginning sound really aggressive. The compression/level is too much, it sounds good but it's killing the drum impact more than I'd like. The eq sounds great though, if you just backed off the compression/level a bit I'd be way into this. This one became my reference for eq sanity check when jumping around between masters. Ggidluck Peaks at -1.3. The first loud snare hit jumps out in a weird way, as do the hits during the breakdown. Are you expanding? Hey, what the hell did you do to my distorted drum fill? It sounds like a crossfade between plugs or something. I'm not sure what but it's all messed up there. This does sound nice and clear but I think there's too much meat cut out. Gregg Janman It's too scooped around 400, especially in the first half, the snare sounds weird. It seems better in the second half. I think the high boost is too much. The stereo image sounds nice, snare is loud and proud, nice depth to this as well. The level is cool although the heavy guitars at the end sound a little overdone...could be distortions in the mix coming to light due to the brightness and not your chain but either way its too much. Also I feel like there's a little pumping during the last vocal section. LudwigM Sweet screaming baby jesus. I had to turn this down 6db just to listen to it. Sounds sooooo aggressive right off the bat. It does hang together remarkably well for being so smashed, but I did say "i'm much more interested in depth and tone than i am in your ability to get it loud without artifacts" so no cookies for you! MCThe first half sounds kinda muffled. The second half it's not so bad. It's too loud but I gotta admit I am enjoying it. It seems like you didn't boost the high end much, and this keeps the focus more on the midrange, which I like. It sounds tough. However, I heard a few smaller crackles throughout, but it really comes undone at the end where the stupid crunch guitars come in, the crackling is really severe there. Unacceptable! Back it all off a few db and it'd be cool. Philip The lows seem just a bit too prominent, it still sounds a little cloudy. I think a slightly different eq curve would make it a little more exciting. Otherwise it's great, very respectful of the mix, could even be a bit louder. UnderTow I'm sorry man, that high boost is just nuts. It sounds really weird and unnatural to me. The s's in the beginning are brutal. The snare doesn't sound right at all. The stereo image seems too wide/phasey. It's all making my ears go crazy! Fuse That vocal was dry on purpose thank you very much. The sub boost is too much. I can see where you're going with this and it doesn't sound bad but it's not what I mixed. Patrik It's too loud but it's nicely done. It does sound kinda closed in when compared level matched to quieter entries. If you just backed off the level it'd be cool. PMX The eq is a little subby. I hear some pumping on the last vocal section. Otherwise I like it. AivoryUK Again, it's too loud, but it's very well done. The transients do sound smushed when compared to the quieter entries, but eq wise it doesn't sound as closed in as Patrik's. Nice work. If you backed off the level I'd be happy. As Nick pointed out, a bunch of people didn't attend to the fade at the end. No biggie AFAIC but in real life that stuff's important. Now that I've critiqued all your work, you're all more than welcome to tell me I can't mix paint. I'd love to hear any critiques/advice you might have. Really looking forward to the techniques thread, super curious to learn what you all did. In the original mix I was distracted by pops & crackles by both the vocals & later the drums. I reduced the noise ...some didn't. Also, I was distracted by a strange keyboard swell on the left side at 2:50 I also reduced that as well. Fuze... Nice & clear holds the low end a bit to harsh in the highs. aivoryuk: Nice balance overall. Good eq work there. One of the best. kayo: I hear a lot more hit-hat and snap of the snare. I think it has a bit too much high and low shelf for my liking. I experimented and turning down the lows and highs at an arbitrary point of less than 1db made a big difference. pmx: I like this one a lot. Nice work on the snare/hi-hat. Not overdone. Good balance with the low end to round out the sound. Levels are good but not pushed too much. Nice controlled levels and a good entry I think. domc: A bit too much on the low end, and it adds a little fog to the mix compared to the original. It is masking a bit of mids and highs that I want to hear. ed_littman_mastering: Very nice job. Good balance on the low end, nice snap on the snare and good hi-hat. Still has lots of bounce on the meters. A good example of compromise on this track. 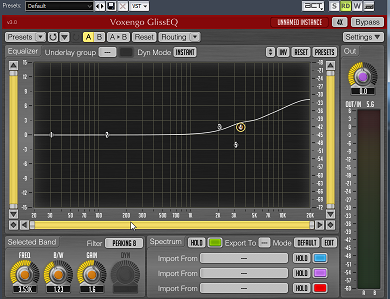 Levels are up, bass is not overdone and good general eq treatment to improve listenability. gertvanhoof: Pretty good sound overall. Similar to the pmx track I think, but slightly too much compression as I think you stated. greggjanman: Sounds clearer and more listenable. Nice hi-hat and snare coming through but maybe a tad bit too much. Overall quite good. ludwigm: Levels pushed too much. The snare has lost impact. Good eq treatment though. mc: you've pushed the level up but and it's brightened up slightly but not much different from the original. Has lost a bit of the punch of the original recording. I think it was a very challenging track for all, very dense but also with some dynamic difference within the the track. I was particulary interested in how people were going to deal with the point at around 2:40 where the vocal re-enters as the volume seems to really drop. Undertow- Very Bright kinda ear splitting. Biig Niick - Nice Overall sound, Dynamics seem slow and a little squashed. Kayo_ not sure whats going on here a bit too much of everything. DOMc- Nice Dynamics but there seems to eb some tight notching in the mids that gives it a unnatural sound. Specialized 01 - not bad dynamics but oveall a very bright entry. Gregg Janmann - Nice dynamics but lacking body and a bit bright. PMX - Nice balance & dynamics, guitars seem to have a lost a little clarity. Phillip - Nice sound although dynamics seem a bit squashed. ggidluck- Nice balance but not sure why you peaked so low. MC - Some grainy highend filter going on here sounds like it has been converted to Mp3? Fuse - Balance seems a bit off like its been widened too much but overall good. Patrick T - I think this time round this is my Fav, really good balance and control. Adam_Gonsa Good apart the gltiches and I think the sides have been widened just a tad too much. GertVan Hoof- Another good one although snare does seem just slightly squashed. Ed Littman - Nice Job although the volume drop at 2:40 seems really noticeable so overall I think the dynamics could have been ironed out more. AndreasN - pretty good stuff no complaints. Chris Dormeus - Generally good but why peak so low? This dip is in the original mix. With that said, maybe your hearing it more on mine than the others cause I retained most of the original dynamics. I felt the mix was compressed enough already so furthur compression was only for makeup gain. But on the other hand, if it was distracting to a listener maybe I should have given it more thought. only compression on this was bass, room mics and guitar solo. oh, and leslie noise. i tried compressing the vox but it just made them worse. Today I listened to what you guys heard and I now fully understand. That is way too bright! So I checked the project and found that for some reason GlissEQ jumped from "Peaking" mode to "Peaking 8" mode. (All other settings besides the mode are identical). In short, I should have checked the rendered file before uploading. Fuse: Not bad. Still a little too veiled for my taste. Specialized01: A bit too loud and still boxy. Fatiguing. adam gonsa: Too dull sounding for my taste. Otherwise not bad. patrik: Solid sounding. Could use a touch more sizzle on the top. Sounds a bit boxy especially at the begining. andreasN: Overall nice sounding but could be more ballsy, more grabbing. Maybe a bit more loudness? ChrisDoremus: Could use more level. Snare still very present as requested. philip: Another soft one. Could use more clarity and level. hope to get to do a good listen after christmas, my former studio with my big desk in it burned down today (made the national news!) so i'm busy with other stuff the next few days. yeah that is terrible news, very sorry to hear it. hope everyone is alright. Oh man, hope everyone is OK! By former, do you mean you've recently moved out or was it your current room? That's bad news! Very sorry to hear that. Good luck with all the hassle the coming days. not my current room no, thank god for that. it's my former room, where i had some stuff and a big mixing desk stored. it was sold and ready to go on transport yesterday but that got delayed due to the snow conditions over here in NL. "oh isn't ironic, don't you think"
luckily no one got hurt, so it's just a lot of dirt and water everywhere and into everything. and the first time i've seen a molten u87. Ouch! I hope everything sorts itself out! Just want to say thank you to all the people that have commented so far, and to apologise for not doing the same. I've had a sinus infection for the last couple of weeks, that has been affecting the hearing in my left ear, and I don't think I could make a great comparison at the moment. I fully intend to when I have recovered though! Best wishes and Merry Christmas to everyone on here! P.S. I am also pretty horrified that someone would let a file out the door that hadn't actually been listened to/checked (especially on a forum full of great mastering engineers in a mastering shoot out), but it's not the first time I have heard of this happening! I'm 4days into a WinXp BSOD puzzle. Registry & IRQ failure blah blah .. It might help if the deadline wasn't on a week day. How ever much fun and educational WUMP might be, real work gets priority. On a more general note, I would prefer more frequent WUMPs with shorter deadlines. Work load will mean some WUMPs will be missed by some but if they are more frequent it shouldn't matter too much. Unless of course there are not enough tracks being offered to use for the WUMPs. It might help if the deadline wasn't on a week day. dude, you had two weeks to do it. Yes and it was done on the first day the files were available. I just exported the master from my DAW on the day of the deadline. The idea was to see if it needed any tweaking after not hearing the master for a while. There was no time for that on the day of the deadline. I just exported the file in the morning before going to work. I had no reason to believe it would sound any different than when I had left it two weeks earlier. Anyway, what is the big fuss? A plugin glitched. I didn't catch that because I was pressed for time. If this was a paying job I would check the master after export. The time for that would have been scheduled. In this particular case arriving at work on time was more important. End of story. I already said I should have checked the rendered file. It was entirely my mistake and admitted it but people are still bitching. I find it strange that people are still going on about that but not requesting to hear how it really should have sounded. That seems like strange priorities to me. i'd be happy to check out your proper version! Happy holidays! It's good to be back in the studio today after some time off. This is my second WUMP, and I find the whole thing a little defeating, since there is a lot of knee jerk response to what we dislike about the submissions. It would be nice to see a little more support for our brethren. I've fallen into that trap a little as well, but I'm not hearing anything that would put Bernie Grundman out of business here. On the other hand, the WUMP seems like a good way to get a little humble pie, and for me; a chance to do something different with a track, to take some chances and see what happens. Thanks for everyone's submission, feedback and to the organizers. Fuse - Didn't translate well between mains and mini speakers, high end gets pinched sounding. I'm looking for more definition. I like it on headphones though. adam_gonsa - I'm looking for more clarity, but the balances feel good and overall good punch. Sounds good on headphones in the full band sections. Biig Nick - My file has a burst of noise at the vocal entry after the drums come in. Translates pretty well, but the snare is overtaking the vocal too much, and the dynamics seem choked. Sounds pretty good in headphones. Specialized - I like the intensity, and the fact that it's totally *different* than everything else in the group. Even though it's loud, it still moves. I like what others were able to do with the guitar tones better. For me, looking for more vocal made the guitars change too much. I'm testing some new gear on this track so there's some growing pain represented here. Patrick T interesteing low-end impact, works well on the mains, but is tough on the mini monitors, slowing the feel down. I like that it stays coherent in the frenzy section, but the vocal gets buried. Headphones aren't as fun on this entry, it sounds like it's pushing too much for me. Undertow - sounds nice on the mains for the most part, but the high-end starts to dominate, and turns me off. I like the low end and low-mid, but the upper-mids and top get distracting. It's all hi-hat in the headphones. AndreasN - Nice translation between monitors, but heavy on the low-end, weighs the mix down. The dynamics feel a bit contained, not as fun on the headphones. Chris Doremus - snare is distracting, chaotic without being exciting, depth? unappealing dynamics, tedious. I think the level could be hotter, though hat's off to a definite dejection of the loudness war. Headphones are better than the main's but something is off for me on this entry. Philip - A little flat to me, lost it's dynamics yet doesn't have much level. Stays consistent between mains and mini monitors. The warmth is nice but at the cost of excitement. Sounds good on the headphones, doesn't make me want to shut it off like many of the entries. about 10/19 comments so far, I would of hoped for a few more by now as it has been over 2 weeks. If people want to start posting their techniques and setting (might as well in this same thread) then by all means. This is my first WUMP but, yeah. +1. Listening on KH O300s + O800 sub & AKG K701 headphones. Fuse- Mids are a little foreword. This one stayed pretty close to the mix, which isn't bad, but it's a wee bit flat. Specialized01- Very present and crisp. I like how the the guitars sound in this master, the depth of the distortion and the dig of the pick sound terrific. Biig Nick- The percussion in this one sounds terrific. The kick has been tightened and the snare transients weren't really messed with. Patrick T- The mids and upper mids in this one sound slick, and very polished. The vocals seem to get lost at one or two points in the song but otherwise not too shabby. Undertow- Kind of bright, but that's been covered already. AndreasN- The transients still sound snappy and fierce in this one, and it maintains a very open sound. The noise/grime of the track also seems especially prominent in this master. Chris Doremus- A little weird and washed out sound, seems kind of overfutz'd with. Sort of hard to listen to, nothing has it's own space. Sounds like a step down from the mix. Philip- Also has enhanced low end, which is OK except that it eclipses the mids to some extent. This one could have benefited from more clarity. adamgonsa- I still like the sound of mine, although I hear what others have said about the compressor pushing a bit too hard at one point in the song. I hit a comp a little harder than usual, and it dug in at one or two spots. Removed 'spolives in the opening sequence with iZotope RX. -Corrective digital EQ (Flux Epure)- .6dB cut at 310Hz with a Q of 3.75, and another .25dB cut at at 12k5 (same Q). -From there I gave it a bit of a push in level before D/A (not clipping) but still hitting the Charter Oak SCL1 kind of hard. Threshold set high (2), with a slow attack(3), fast release(7), and ratio of 1.5:1. -On to the Gyraf G14 for very gentle sweetening. Very slight wide Q bumps at 48Hz, and 1k4. Slight level increase coming out of the G14 as well. This may be the cause of some of the "side widening" that Alex commented on, as I didn't use any M/S processing. The G14 can add a touch of width sometimes. -Back into the A/D with plenty of headroom. Slight bump in digital gain and then the voxengo elephant to catch the odd peak. Slight changes via 2 EQs, some action from a comp, and clean digital gain. Nothing too radical except for edition the opening section. I was afraid, it would come down to this. My BSOD is incurable or one could say, Win Xp is now crippled severely. I tried avoiding the "abandon ship" scenario, but, at present it looks like, moving to another HD and starting again, is the only right thing to do.. the other can await it’s miracle fingerscrossedxx. Will load up and download all over again. Also, a Happy New Year to all, and the of best wishes for the coming year ahead. For my listening, I level matched all of the entries and I switched between the original and the entry in question. Also, these are just my general thoughts upon a quick listen for a few sections. Also, I listened with Adam A7s so don't take anything negative too seriously. Samplitude 8 pro. Listening done on Lipinski L505's with Yamaha HS10W sub. Overview of the whole process was some eq and levels adjustment. No compression used at all. I used mid/side to try to take some of the energy out of the tom fills in one spot. This was a mistake and it was commented upon by a couple of people as sounding weird in that section. Eq settings: Low cut at 30. -4.4 db at 250 Hz Q=3.0 . This added clarity to the vocal but more than one person said I cut a bit too much. 5K boost of +3 Q=1.0 . This added some brightness to the vocal, snare and hi-hat. Added some high-shelf at 7K +1.5 db. I did use some volume curves in samplitude to bring the level of the vocal up at the beginnning and end. Hopefully that wasn't too radical, but I thought it needed it in lieu of any compression. I also felt like a highlight of the track was when the snare comes in after the quieter parts. Because I was using a volume curve I allowed those hits to jump out a bit. Some artistic embellishment for sure, but in a real situation I would let the artist decide. This is for fun so I thought I would play a bit. Since the objective was to improve the sound I didn't try to get the levels loud. Regarding Scott's question, the use of the volume curve would have the effect of upward expansion on the snare hits. I enjoyed the challenge that this track presented. Also,I also reduced a strange keyboard swell on the left side at 2:50. I used M/S for both eq's b/c the IBIS/Color got the panned guitars a bit thicker & the bax brought out more detail without getting the guitars to harsh later in the song. Added 0.5 dB with a q of 0.7 at 1400 Hz with the 5033 EQ. 1. Weiss EQ-1: took out some sub-bass and some low-mid muddiness. Gentle lift at the top end of the spectrum. 2. Crane Song STC-8 set for 3-4dB of gain reduction. Make-up set accordingly (obviously, this stage had been better off with some subtlety). 3. Crane Song HEDD DSP for some pentode/tape characteristics. 4. Weiss DS-1 in limiter mode for some 3dB of additional gain. 5. Capture in SADiE, dither to 16/44. Thanks to anyone involved for another WUMP… eagerly anticipating the next round.